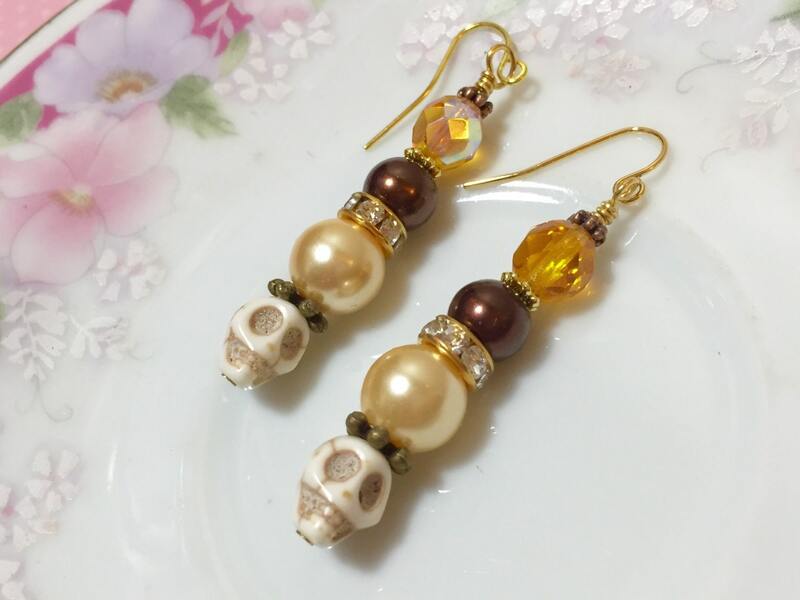 I made these earrings in lovely warm fall colors just perfect for impending autumn. 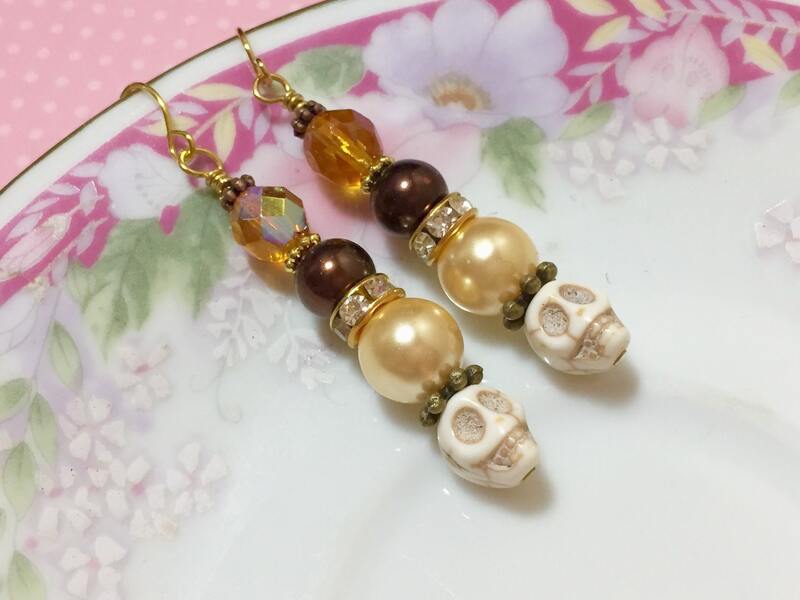 I made these with synthetic howlite stone skulls, creamy beige glass pearl beads, rhinestone beads, brown glass pearl beads, faceted yellow czech glass beads, gold findings and finished them with gold toned stainless steel ear wires. You are purchasing a pair of earrings made to order like those shown. 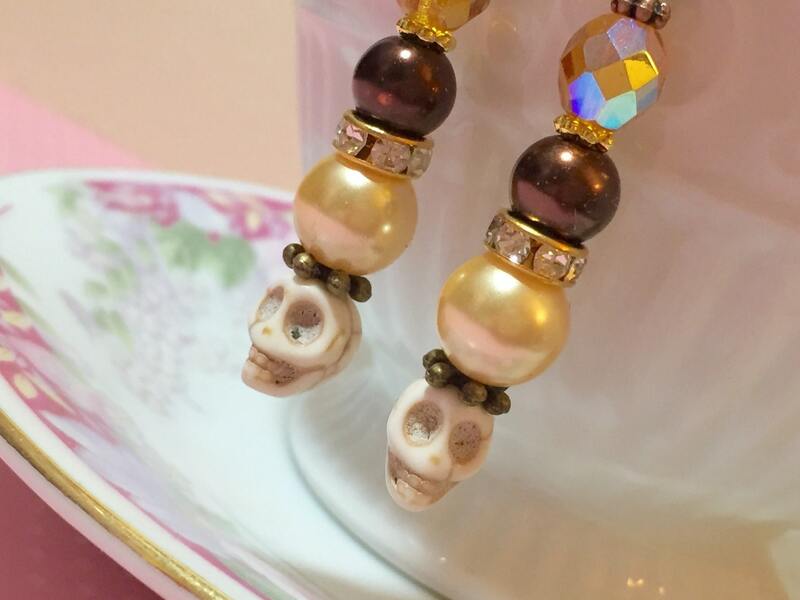 The earrings dangle about 2 3/8 inches (6cm) from the top of the ear wire to the bottom of the skull.